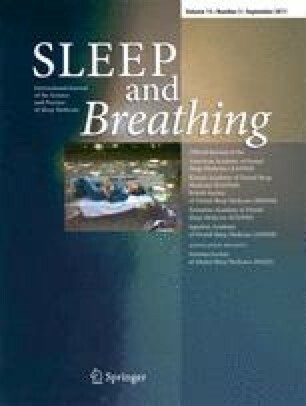 Previous studies show a high prevalence of obstructive sleep apnea (OSA) patients with a higher non-rapid eye movement (NREM) apnea–hypopnea index (AHI) (NREM-AHI) than rapid eye movement (REM) AHI (REM-AHI). However, the clinical significance of this phenomenon in patients with OSA is unknown. This study aimed to investigate whether there were significant differences in clinical and polysomnographic features between the NREM-AHI > REM-AHI group and the REM-AHI > NREM-AHI group and to determine whether NREM-AHI > REM-AHI or REM-AHI > NREM-AHI is a specific clinical entity. Liu Y and Su C contributed equally to this work. This work was supported in part by a grant from the National Natural Science Foundation of China (No.30970945). We are very grateful to Dr. Xiue Guo (Department of Statistics, Fourth Military Medical University) for her expert technical assistance in statistical analyses.